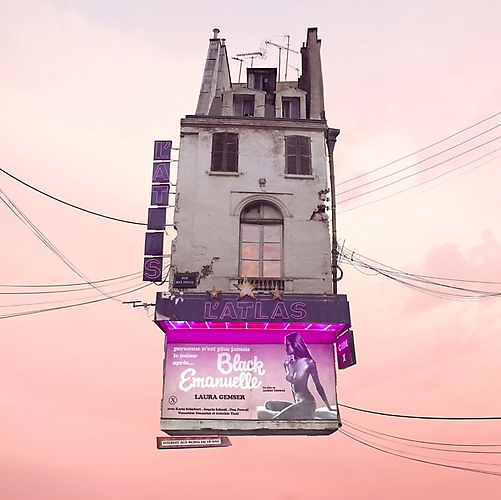 Size A: 35.4" x 35.4" Size B: 47.2" x 47.2"
As stated by the Huffington Post: “Caught in the hustle and bustle of crowded streets, big city dwellers might not always have the time to stop and enjoy the scenery. 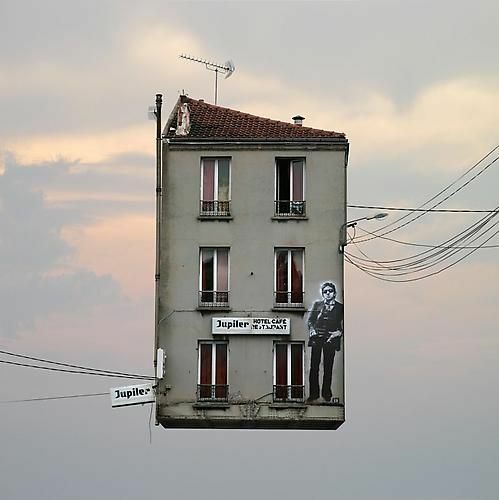 But a French photographer named Laurent Chehere is giving you a reason to admire your street-side architecture. 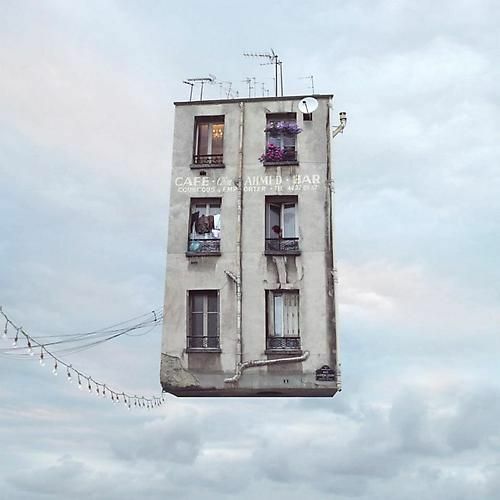 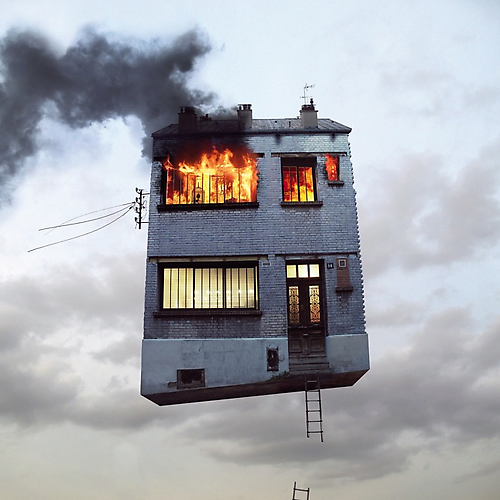 In a series titled "Flying Houses," the artist takes images of ordinary urban and suburban residents and places them in the skies, creating captivating photographs of homes that appear to be floating through the air. 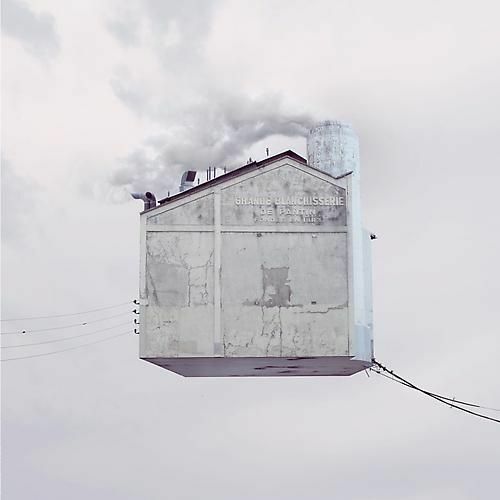 Some are adorned with clotheslines and flower boxes while others are bellowing smoke and eschewing flames, but all of the houses seem to be captured mid-journey, moving above the clouds as they remain tethered out of frame. 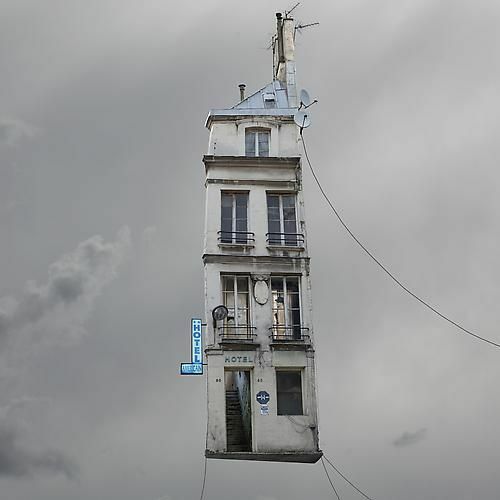 No longer hidden in the monotony of a congested street, the isolated structures become whimsical imaginations you can't help but notice. 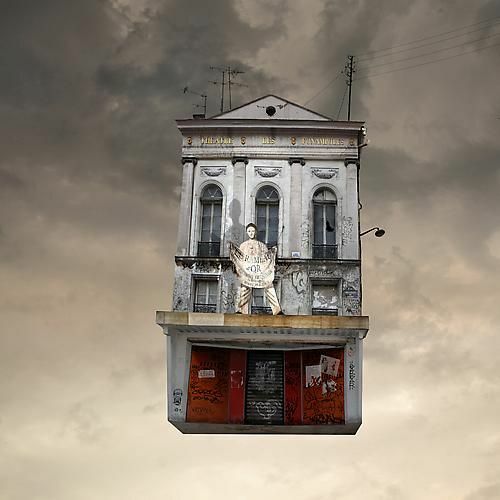 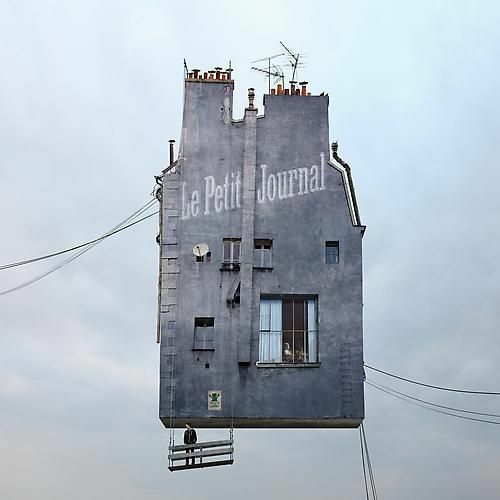 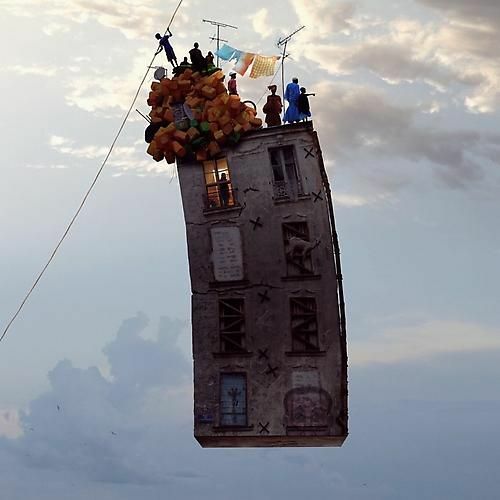 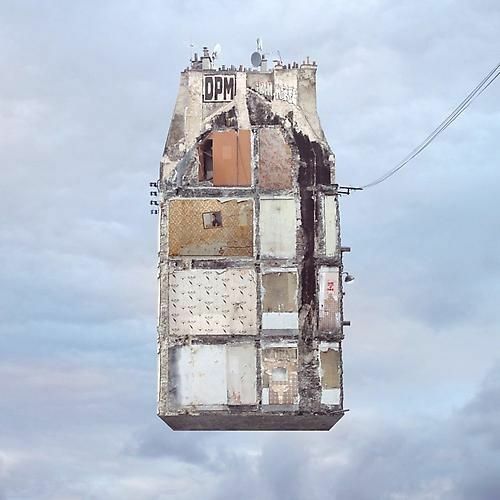 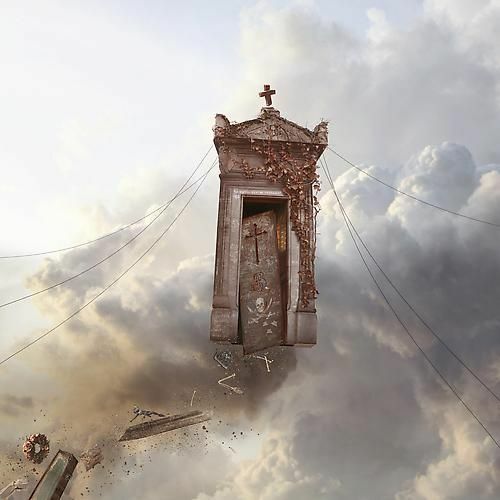 Laurent Chéhère first exposed the series Flying Houses at Docks-en-Seine City of Fashion and Design in France in June 2012 -where he won the Special Award of the “Biennale des Créateurs d'images". 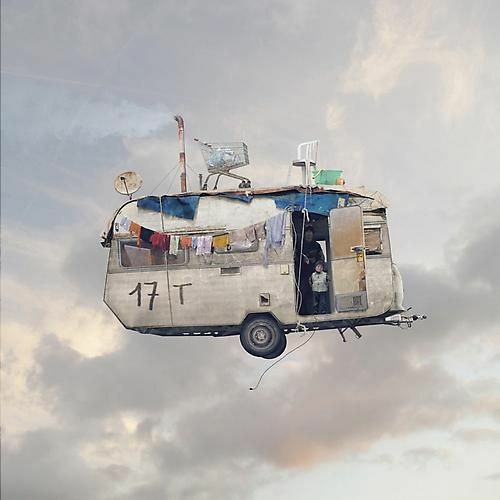 Since then his photographs have toured the world. 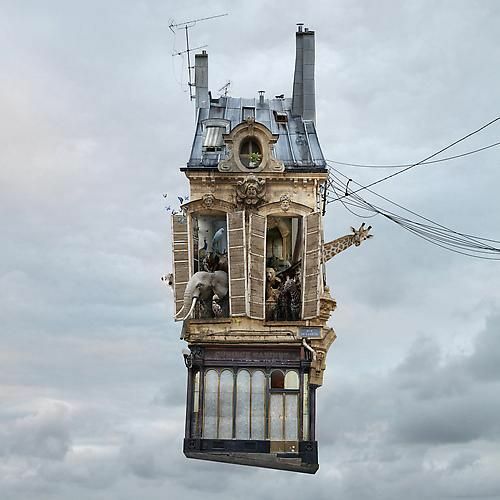 Muriel Guépin is proud offer him his first solo show in the US and present some of his most recent flying houses - which haven’t been exhibited before.